Motherhood can change any woman’s life in a small or big way, from being part of a company with a full time job to stay at home mom. Staying at home and raise your children is a huge decision and in most cases it will be a good decision, but it might bring the question to you about what you could do to get an income by yourself. Some moms had started a blog as a way to share their daily life as a mom, or as a stay at home mom as every day it can bring beautiful moments shared with your kids, but also it can bring some challenges you need to face while raising your kids and in most of the cases everything goes great. As a part of your daily routine, when you have some free time to go to your computer while the kids are around and playing well, you read some blogs from moms who write blogs and they make some money from them. Blogging is bringing the opportunity to many people to work from home on a daily basis, sharing what they do and what they know and it has turned into a good source of income for them and for them family. Some bloggers have found the way to make a few more dollars every month and some bloggers are making a good amount of money every single day! Blogging is for anyone who is interested to learn how to blog to share their passion, their life and anything that might be of interest to anyone who will be your audience. How to make money from a mom’s blog. You might start blogging to share those beautiful moments as a mom while raising your children at home, good stories and great pictures. If you keep your blog on that topic, you’ll find your own audience who is interested to know how your family is doing and what you’re doing on every event of your life. But if you want to start making some money from it, you need to learn how to monetize your blog. One great way to work on it, it’s by turning your blog into a niche blog. -What is a niche blog?, you might ask. A niche blog is also known as a blog that shares information about a particular topic, by doing it you’ll find your target client who wants to read more from a particular topic, and learn from you or find a solution to a particular problem. Your baby sleeps during the day and wants to be awake at nights. Your baby cries most of the night and you can’t sleep at all! You don’t know what you should bring to your babies first vacation. Are you preparing the right healthy food for your baby? It’s time to potting training, but how can you do it? What is the best time to start your child to read? And many more questions about what is the best way to do this and that as a mom. Many moms do a great job while raising their children and find the best solutions to any kind of problem, and they think about it would be a great idea to share their experience as moms to other moms to help them find the best solutions to their daily problems. The key to become a successful blogger and to start making some money from your blog is to help as many people to solve a particular problem. You’re good at cooking, and your kids love your home made food, why not to share your best recipes and tips to cook for children and young children. You’re a teacher and you know some good tips to help kids to start reading at home, why not to share some of your best tips with other moms. You know how to sew and moms will love to learn how to sew baby clothing and beautiful kids clothing at home. There’s so many topics you could write about and start your own blog, that is the first step, then you can learn how to get followers to your blog and in a few months your blog will be ready to be monetized. You can write an e-book sharing your best tips and advice about a particular topic. You can create your own product to sell from your blog or from Etsy. You can add some affiliate links to products moms will be interested to buy. When your blog gets a solid and big audience you can think about adding some ads on it. You can read more about how to monetize a blog here. Hope you like these niche blog ideas to start your own blog, I’m sure you’ll be doing great and you’ll start to make some money from it. 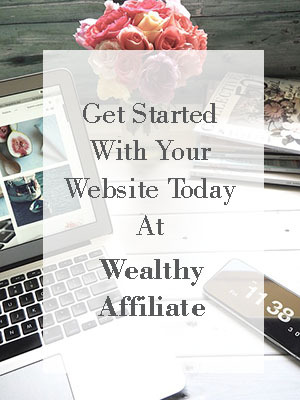 If you want to learn more about how you can monetize your mom blog, my #1 recommendation is to sign up to the 10 FREE lesson course to learn how to blog with Wealthy Affiliate, you can read more about why I recommend it here. If you have any questions about how you can start blogging and sharing your best tips and advice to other moms, leave a comment below and I’ll reply to you shortly.